Even the farthest flung NYC neighborhoods, it seems, got wrapped up in last year’s boom in new development and rising prices, from the affordable housing development planned for East New York to a tone-deaf “Bronx is Burning” party thrown by luxury developers in Port Morris. And although price growth is expected to be slower this year than in years past, 2016 still promises more expansion, and not much in the way of new affordability. That said, there's still hope for the buyer in search of a relative deal in NYC. We asked the number-crunchers at PropertyShark to round up all the neighborhoods in which sales prices were lower than the borough median for 2015. That affordable median sales price was then coupled with neighborhoods that had a high number of sales listings in comparison to other neighborhoods in the borough, meaning that not only are prices reasonable, there's actually some inventory available on the market—not a given in the current climate—as well. The result? The five best under-the-radar, still-affordable neighborhoods to check out in the coming year. Developers have only recently caught onto the appeal of micro-housing, efficient and affordable studio apartments that cater to young, single New Yorkers willing to live in small spaces. 2016 will bring the completion of NYC’s first micro-apartment building in Kip’s Bay, but that doesn’t mean the market for micro is just emerging. Tudor City is New York’s original micro complex, developed in the 1920s with small apartments meant to appeal to the middle class, according to the Landmarks Designation report. It's not technically its own neighborhood, but like Stuy-Town, has grown to a 15-building complex (comprised of 11 co-op buildings and four brownstones) bordered by 40th Street to the south, First Avenue to the east, Second Avenue to the west, and 43rd Street to the north. It feels like its own little world, housing around 5,000 people as well as park space, a playground, restaurants, grocery, deli, salons and dry cleaners. In 2015, the median sales price in Tudor City was $329,000, far below the Manhattan median of $985,000. Considering the small apartments, you are paying a higher price-per-square-foot than other neighborhoods on the list; for-sale units at 5 Tudor Place average $916 per square foot, according to Streeteasy. But you’re also getting a close proximity to Midtown. There were 132 total sales throughout the complex last year, a sign of the high inventory available. Takk Yamaguchi, a Compass broker who specializes in the area, estimates that 85 percent of apartments are studios, with prices for studios ranging from $200,000 to $300,000 and one bedrooms priced around $500,000. Tudor City apartments are known for being compact: They come with Murphy bed alcoves (although not all apartments have Murphy beds), and kitchenettes with mini fridges and microwave convection ovens. These aren’t spaces large enough for a couple or family, says Yamaguchi, who notes that the neighborhood attracts professionals who want proximity to their offices in Midtown East or Grand Central Terminal. Because there's a fair amount of turnover from sellers who eventually need more space, “there are always apartments for sale here,” he says. 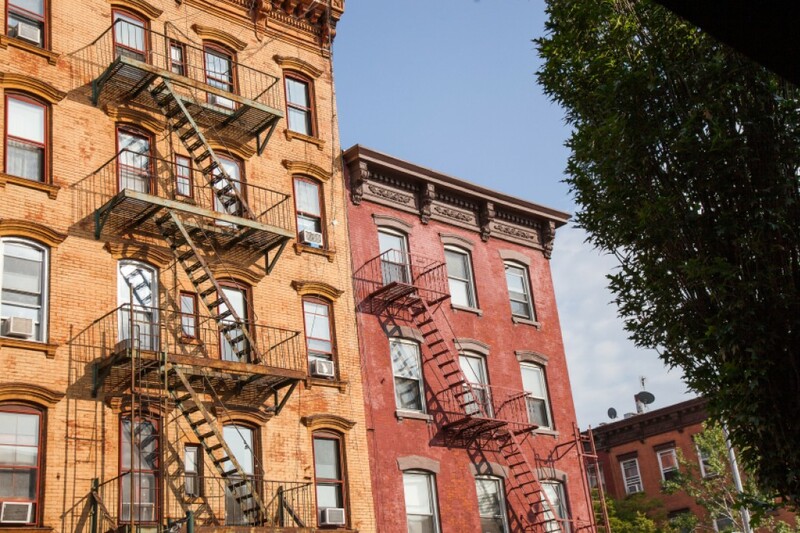 And because the neighborhood is dominated by small units, “you know prices will never appreciate to the levels of SoHo or the West Village,” he says. “Although I think there will remain a consistent demand in the neighborhood, given the location and price. It’s not a risky area.” Simply put, Tudor City is a worthy option for single New Yorkers who don’t have millions to spend on a property, don’t mind a small space, and are looking for a safe, fairly stable real estate investment. Hudson Heights is an enclave of Washington Heights dominated by Art Deco and Tudor Revival co-ops constructed in the 1920s and 1930s. The median price was $495,000 (compared to Manhattan’s median of $985,000) and there were 211 sales last year. Kelly Cole, a broker with Corcoran, says that the neighborhood—generally bounded to the west by the Henry Hudson Parkway, the east by Fort Washington Avenue, the south by West 181st Street and the north by Fort Tryon Park—is separated into two areas at the top and the bottom of the cliff that runs at Cabrini Boulevard. Above Cabrini Boulevard lies the well-known co-op Castle Village, a five-building complex with incredible views of the Hudson River and George Washington Bridge. “But you’ll find the absolute best deals below the cliff, on streets like Overlook and Bennett,” she says. 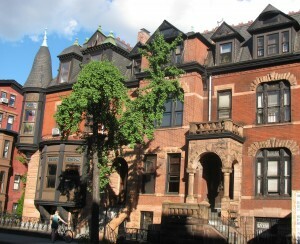 Here, there are a number of prewar co-ops with one-bedrooms priced around $420,000, although Cole points out that there are “quite a few” one bedrooms to be found under $300,000. Two bedrooms average from $500,000 to $675,000, she says. 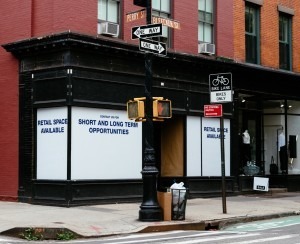 “There’s a lot of inventory here, and 50 percent is priced under $400,000,” Cole notes. Of the 11 one-bedroom co-op units now on the market, according to Streeteasy, six are priced at $410,000 or lower. Cole calls Hudson Heights a “sleeper neighborhood," though it's already home to plenty of restaurants and shops (mostly along Broadway), as well as tons of park space. Fort Washington Park lies above the cliff—easily accessed along Fort Washington Avenue from the buildings located “below” the cliff—and Fort Tryon Park (home to the Cloisters) is along the northern border of the neighborhood. Commute-wise, it's about a 20-minute trip to Midtown from the 190th Street and 181st Street A train stations. Midwood has received a decent amount of real estate attention in the past because of the mansions built here by the area’s sizeable Orthodox Jewish community (not to mention a decent amount of attention from foodies, thanks to local pizza institution Di Fara). Lesser known is that this neighborhood is a true melting pot, home to Russians, Pakistanis and Italians, as well as affordable co-ops and single-family homes. “If you’re looking for space, this neighborhood is a good alternative,” says Douglas Elliman broker Scott Klein. The median sales price was $412,920 with 354 sales last year—that’s compared to the Brooklyn median of $560,000. Klein called Midwood a “migration point” for Brooklyn families priced out of Park Slope, Windsor Terrace and “traditional Downtown Brooklyn neighborhoods.” Here, he says, you can find a three-bedroom home with a backyard and two-car garage for under $1 million—although these will not be brownstones with extravagant interior details, rather modest brick homes built around the 1920s. There are also a number of co-op buildings, many of which line Ocean Avenue, with large one bedrooms priced between $250,000 and $280,000. He said you can find a two bedroom that needs a renovation in the low $300,000s. Klein says there are plenty of amenities in the neighborhood along main drags like Coney Island and Ocean avenues. The Q train runs through the center of the neighborhood and stops at Avenue J and Avenue M. One downside: there isn’t much green space in Midwood, unless you count the picturesque Brooklyn College campus fronts the northern boundary of the neighborhood. Kew Gardens is a compact, central neighborhood in Queens that often gets overshadowed in the home-buying search by its western neighbor, Forest Hills. “When I’m working with clients with lower price points, I always recommend this neighborhood,” says Terrace Sotheby’s broker GiGi Malek, who adds that this is an especially attractive neighborhood for home buyers interested in the freestanding Tudor homes of Forest Hills and Forest Hills Gardens. “Kew Gardens has a style like Forest Hills Gardens and it’s literally next door,” she says. The median sales price last year was $215,000 with 210 total sales. That’s below the median price throughout Queens, $360,000, as well as in Forest Hills, which clocked in at $329,068. What you’ll find here along winding streets are a series of wood-frame colonial and Tudor houses (with historic interior details like moldings, fireplaces and wood paneling), as well as stretches of six-story, prewar co-op buildings. It’s a mostly residential area—developed on a former golf course in the early 1900s—and today is flanked by Forest Park to the west and Maple Grove Cemetery to the east. There are businesses along the main drag of Lefferts Boulevard, which is also home to the Kew Gardens Long Island Railroad station that will take you to Midtown in about 20 minutes. The Union Turnpike/Kew Gardens subway station, where you can catch the E and F trains, is located in the northernmost point of the neighborhood. Malek says “home prices are comparable to Forest Hills but you’re going to get double the space.” She recently sold a five-bedroom townhouse that faces Forest Park and boasts a two-car garage for just under $1 million. “These are homes that attract young couples with enough for a down payment... These are not all cash sales,” she says. Read: there’s less competition and bidding wars here than popular neighborhoods of Brooklyn. Larger, freestanding homes sell anywhere between $1.2 and $2.5 million, depending on the condition they are in. At the prewar co-op buildings, prices range from $175,000 to $350,000 for a one bedroom. Two bedrooms, according to Malek, range from $250,000 to $450,000. No, Riverdale is not all sprawling mansion estates. Look north in the neighborhood and you’ve got a totally different inventory: mostly affordable co-op buildings with some one- and two-family houses. “In North Riverdale, the prices just aren’t as high as the prices in the central and south end of the neighborhood,” says Bert Trebach, owner of Trebach Realty, located in the Riverdale area. 2015 brought 118 sales to North Riverdale at a median price of $215,000, compared to the median price of $250,000 throughout the Bronx, and $347,500 in Riverdale proper. The most expansive co-op development is Skyview-on-Hudson, a 23-acre complex built in the 1960s with three 20-story co-ops with parking, a dog park and an outdoor pool. These apartments are priced on the higher end, he says, where prices for a one-bedroom in the neighborhood can range anywhere from $175,000 to $210,000. Two-bedrooms start at $275,000 and go up to around $300,000, he says. Co-ops dominate the market here, and because many of the buildings hug a ridge, they come with incredible views of the Hudson River and New Jersey Palisades. But there are still homes up for sale—some are 1920s brick colonials and others are new construction—with prices as low as $600,000 (“for the bottom of the barrel,” says Trebach) up to $2 million. 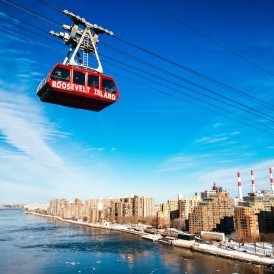 Trebach dubs North Riverdale “one of the best buys in New York,” given its convenience to Manhattan and ample green space, and unsurprisingly, says that he often works with priced-out Manhattanites and Brooklynites. The area is hugged by the river and Van Courtland Park, with Riverdale Park (which is located along the waterfront) beginning just south of the neighborhood. Subway access is nonexistent, so this does pose a challenge; residents have the option of taking express buses down into Manhattan. A Metro-North stop at the southwest corner of the neighborhood offers a quick commute to Grand Central, as well, though Trebach says many residents own cars, and that parking is easier here than most other NYC neighborhoods.